The batting order, which also lists each player's position. I love break out my favorite scalloped shorts, a perfect white tee and head out for the day! 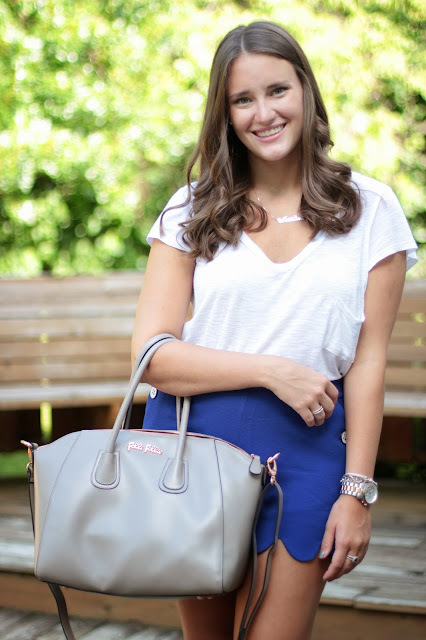 This look is easy to just run errands in and meet up with friends, but also great for a night out on the town! Just add these awesome Sam Edelman shoes and there you have it! A more relaxed, yet fun, look for all day.